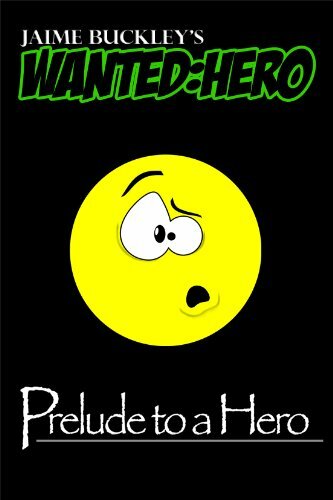 Wanted: Hero is just what it says--a prelude to a larger story. It's only 106 pages long (eBook edition) and a very quick read. The prelude sets up the universe in this fantasy series and introduces the major characters. A destined Hero is sent to Earth as a young child to protect him from the evil dangerous Lord Mahan. When the time is right the Elders are supposed to summon the Hero to battle Lord Mahan and save their civilization from slavery and ruin. There is a conflict between the High Elder and his son Shea, who holds the responsibility of correctly identifying the Hero. The High Elder goes against tradition and has a teleporting troll collect the Hero instead of his son. The troll picks up Wendell, a normal teenage boy interested in girls and girls who happens to be sitting outside of his perfect heroic best friend Evan's house when the troll appears. Wendell is less than thrilled when he is transported to another planet and thrust into the middle of their war. The High Elder is surprised by his lack of willingness to defend his people, until Shea makes a startling observation. This is definitely a prelude intended to whet one's appetite for the real story. The universe and characters are interesting and people will want to know what happens next in the series. I'd actually like to read more about Shea and his father and hope that their relationship is explored in future stories. The eBook and paperback versions can both be bought through Amazon.